Each year, hunters in Vermont kill roughly 15,000 deer. During hunting season, our road bursts to life with pickup trucks packed to the gills with beer quaffing, camouflage adorned men packing high powered rifles. It is almost as if we were living in a country where every year there was an annual attempted coup from some political faction. Many of these people get exceedingly drunk, and end up shooting out signs, trees, and once a window in our house. Unlike the hunters of yesteryear, this group cannot be bothered to actually leave their cars, and instead fire from the windows of their car. Another variety uses spotlights to (illegally) make deer freeze, and then lets loose with their guns. In this manner, hunting is no longer a healthy activity that entails any risk for its participants. Stray bullets intended for animals kill several people each year. There have been several incidents in Vermont when farmers on their tractors have been shot by drunken hunters who mistook the tractor for a deer. This side of hunting is extremely disturbing, as it poses a severe risk not only to the hunters themselves, but to completely innocent bystanders. Additionally, using a high-powered rifle takes the sport out of the equation. So I put forward my proposal for what American hunting should become. In Africa there is a tribe called the Bushmen. These people are quite hardy because there are frequent droughts in their environment. 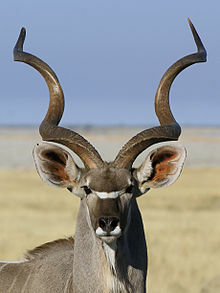 Where the Bushmen live in the Kalahari Desert, there is a type of antelope called a Kudu. These antelope are fast on the short term, but lack endurance, much like the white tailed deer of Vermont. Therefore, the Bushmen have devised a technique of essentially chasing the deer, without letting it rest, until it dies of exhaustion. This usually takes a run of approximately 25 miles non-stop, in temperatures over 100 degrees. This approach is seen as superior to attacking the deer with a spear and risking its extremely sharp horns. If this approach to hunting were adopted in the United States, it would solve many problems. First of all, it would encourage fitness in the participants. If the hunter was not more physically fit than the game he pursued, he would not be successful. Second, it would discourage the excessive consumption of alcohol while the season of the sport was in action. Third, it would decrease the obesity of the US. At present, over one-third of adults are obese, according to the Center for Disease Control. If this policy were implemented, it would adapt a motionless pastime to a sport requiring extreme physical strength and endurance. Last but not least, it would eliminate the risk for individuals that are not involved in the hunt.